Or, maybe I just have a dirty mind. What do you think? Ghost Trick is an adventure game that's being made (for the DS) by Ace Attorney creator Shu Takumi. According to the game's Wikipedia entry, it "begins when a man named Sissel is killed and has no recollection of his memories. However, he has to find out how and why he was killed before his soul disappears the next morning." It will be released in Japan on June 24 and in North America sometime this fall. 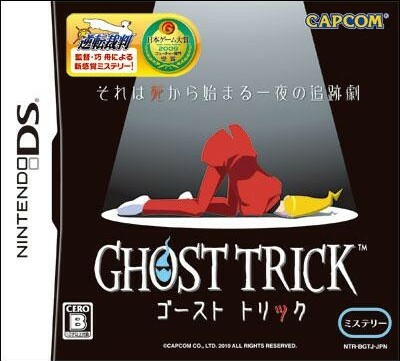 Watch: (Japanese) Ghost Trick trailer. Er...umm...that looks like rug burn waiting to happen.